The folks of T3 don’t mess around when they create concepts, so the Samsung Galaxy Note Book is truly amazing. 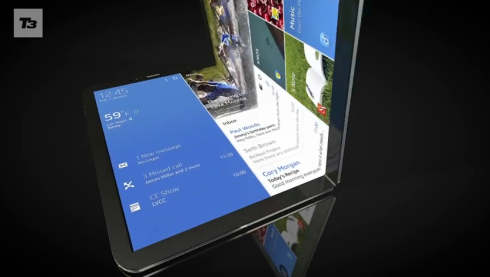 This is an unofficial concept render of a device that combines the idea of a tablet with the one of a smartphone. The Samsung Galaxy Note Book is able to fold up from a 7.9 inch AMOLED slate with 3072 x 2560 pixel resolution to a 5.5 inch 2K display smartphone. The device has two 5 megapixel cameras with 720p video recording, the Samsung Magazine UX on top of Android and 64 GB of storage. T3 included 3 GB of RAM here, a Qualcomm Snapdragon 800 CPU and a Li-Ion 9500 mAh battery. 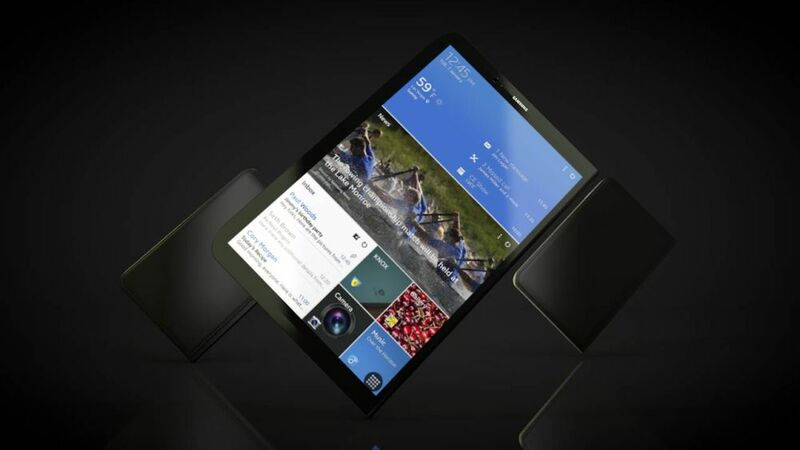 I can see that the back of the device is covered by leather imitation and overall this sounds like a good idea, but the concept of the hinge must be very well taken care of. The hinge must be very discrete, otherwise, the product would look ugly. Also, wouldn’t the phone be very thick?